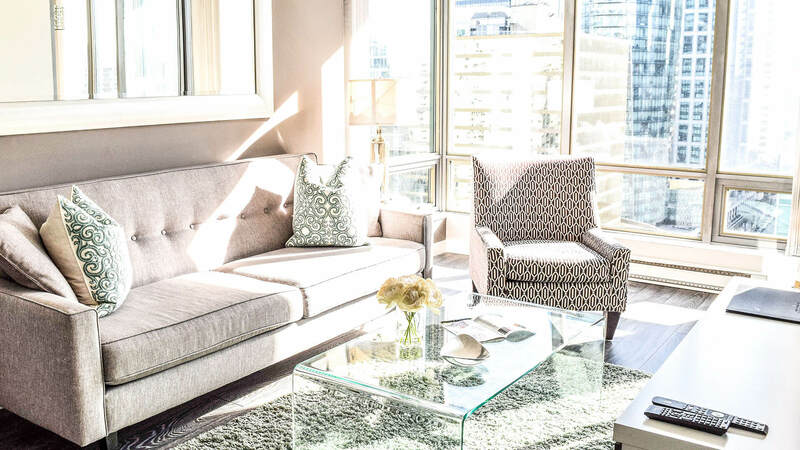 There are so many reasons why furnished rentals make sense; they simply have it all! 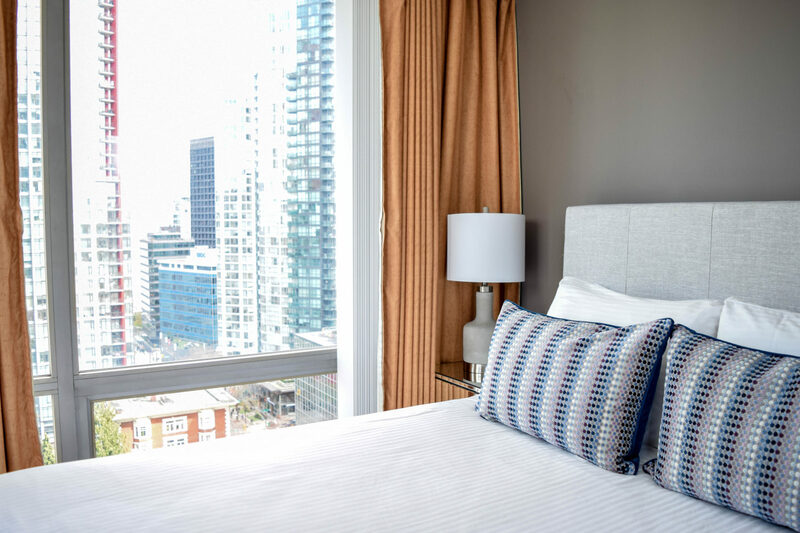 If you are staying in Vancouver for at least 30 nights and want the comforts of home, there is more than one reason why a furnished rental apartment could be the right choice for you. Here is a list of why we think they are the best option! When you move to a new city you want to explore; not spend days setting up your phone, internet and cable! At Vancouver Extended Stay telephone, cable and secure WiFi are all come with your suite. Our on site staff will see to any issues should they arise leaving you free to get on with your new life in Vancouver. Living in a hotel room might seem nice, but the charm is sure to wear off, especially if you are travelling with a partner or kids. Everyone needs a bit of elbow room from time to time, and sometimes it is just nice to close the door. Stay in our one, two, or three bedroom suits Vancouver Extended Stay and your travel partners will thank you for it. With full living room, kitchen, bathrooms and separate bedrooms** in every suite you’ll be able to keep a regular schedule and have room to spare. Think about it: there is nothing worse than expensive hotel laundry services or lugging your laundry to a laundry mat. Vancouver Extended Stay has a washer and dryer in every suite so you are free to do a fresh load on your own time. Not everyone wants to move in on the 1st or the 15th of the month and not everyone wants to leave on those days either. Furnished rental accommodations typically have more flexible dates. At Vancouver Extended Stay you can move in any day of the week , or month, and stay any number of nights that suits you. * For stays of 30 nights ore more, the charge for extra nights is simply prorated and added (or subtracted if you are leaving early) from your monthly rental. If you are staying for months, or even a year, but you know you will be going back home eventually, furnishing an apartment is simply an unnecessary cost. Not only do big costs like furniture and electronics add up, but the little things do too. Sheets, towels, televisions, flatware and kitchen utensils may seem like nominal amounts to spend, but add them all together and you are looking at a couple thousand extra dollars! Not to mention the time you will spend looking for them and the fact that you will have to find a way to get rid of when you leave. Do I have you convinced yet? 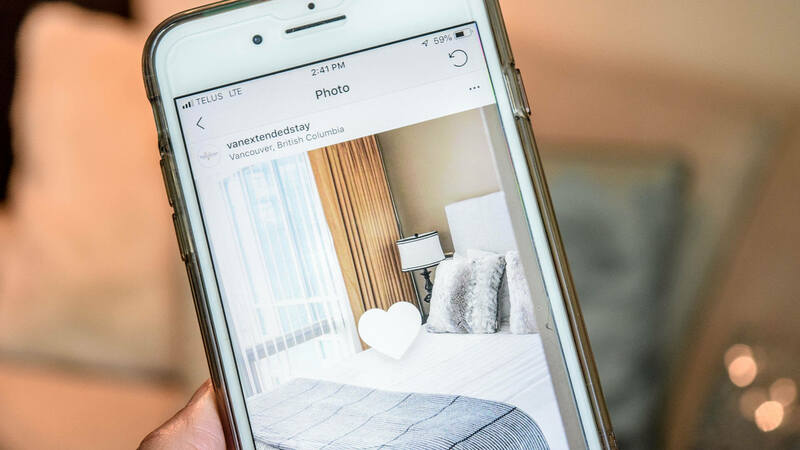 You can book your furnished apartment online or give us a call at (604) 891-6181 and we’ll help you book your next extended stay in Vancouver! *Minimum 30 days stays. A 15 day notice of departure is required on long-term stays.